Confession time: I don't do well at sending out holiday cards. I just get caught up in all of the hustle and bustle of the season. I blink and it's suddenly January already. Cute cards like these, though, make me feel hopeful. 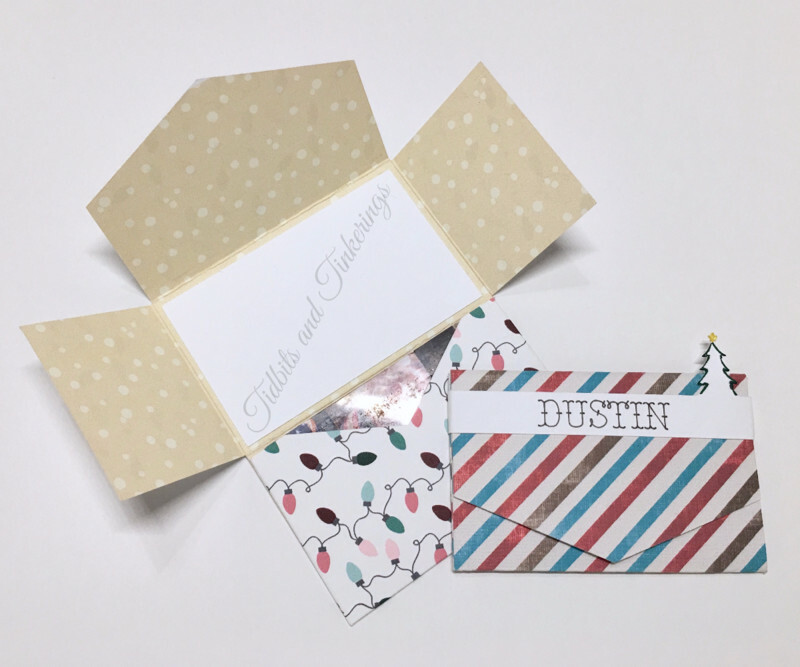 I want to start crafting up these fun festive cards that our Cricut Community members designed and send some out this year! 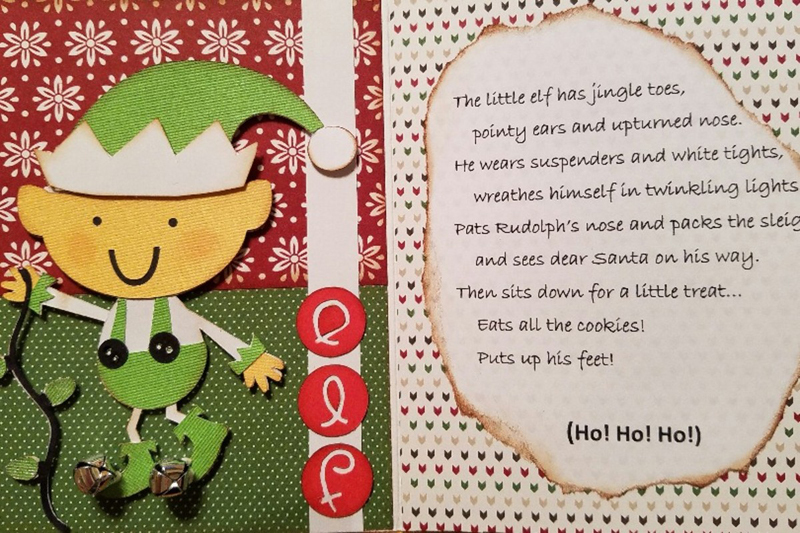 Isn't this Jingle Elf card by Tess adorable? She even wrote the poem herself! 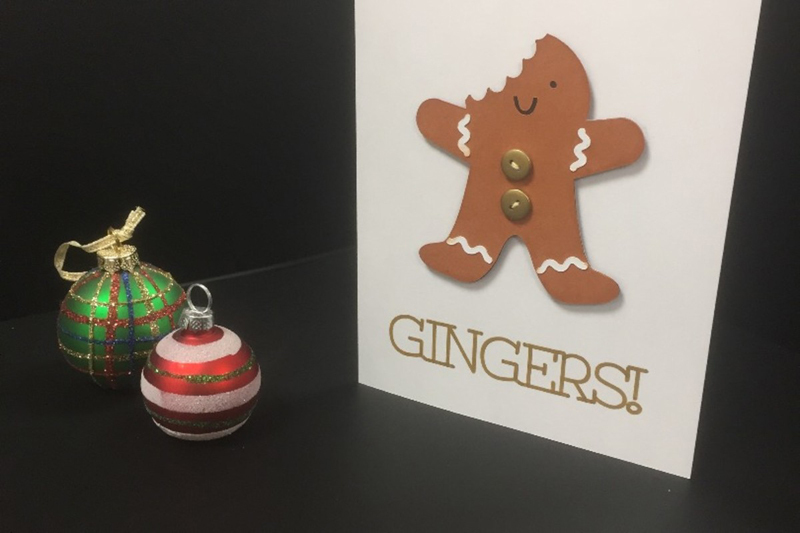 For a cute card with a little splash of dark humor, you could make this Gingers card by Michael. 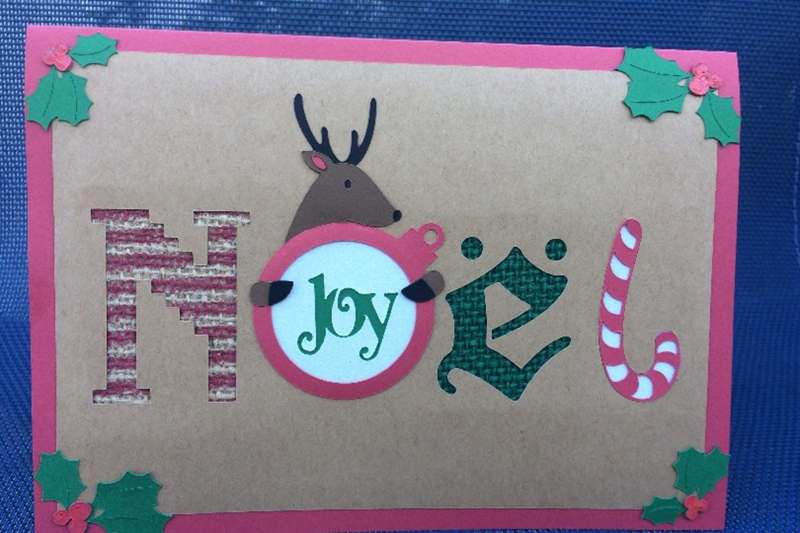 I love how Renae used a variety of materials for her Noel Christmas card. You could easily cut them all on the Cricut Maker. 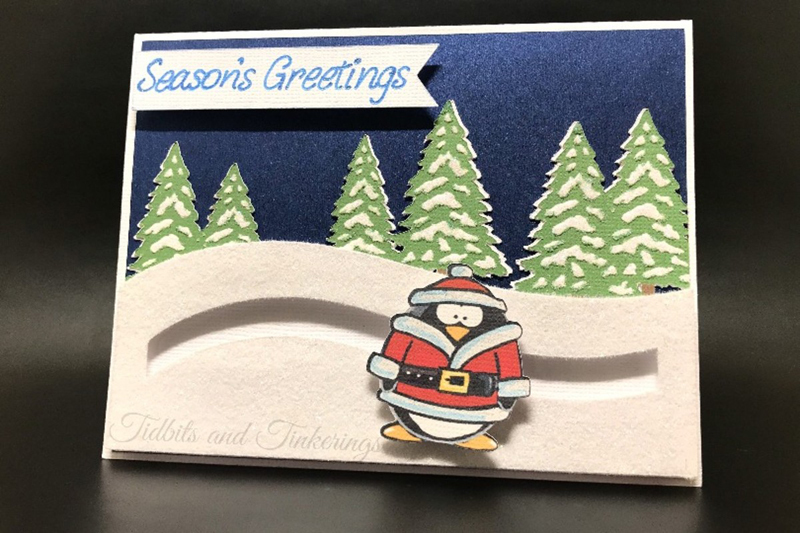 My toddler adores penguins and I love spinner cards, so this Santa Penguin Spinner Card by Teri would be a fun little activity to play with together. 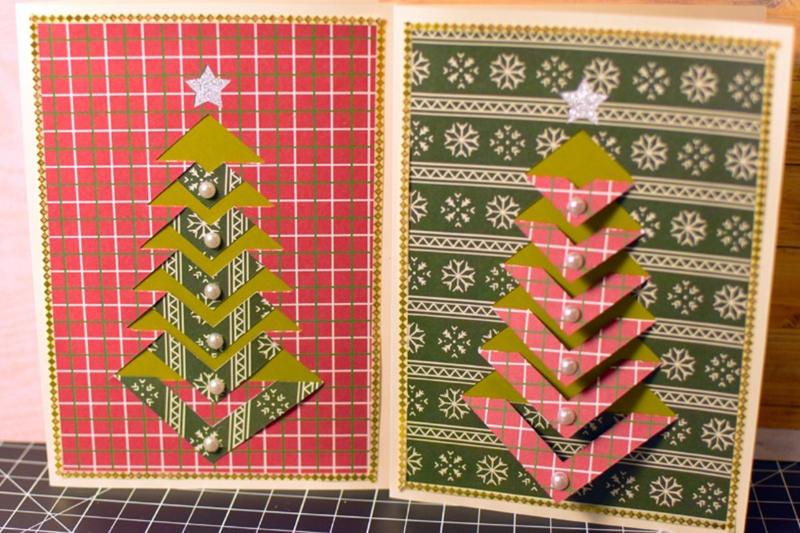 There are so many possibilities for this Folded Christmas Tree Card by Cheryl just with the patterns and colors you put together, and I love how she includes 2 different styles. Don't you just love projects that combine two needs into one? 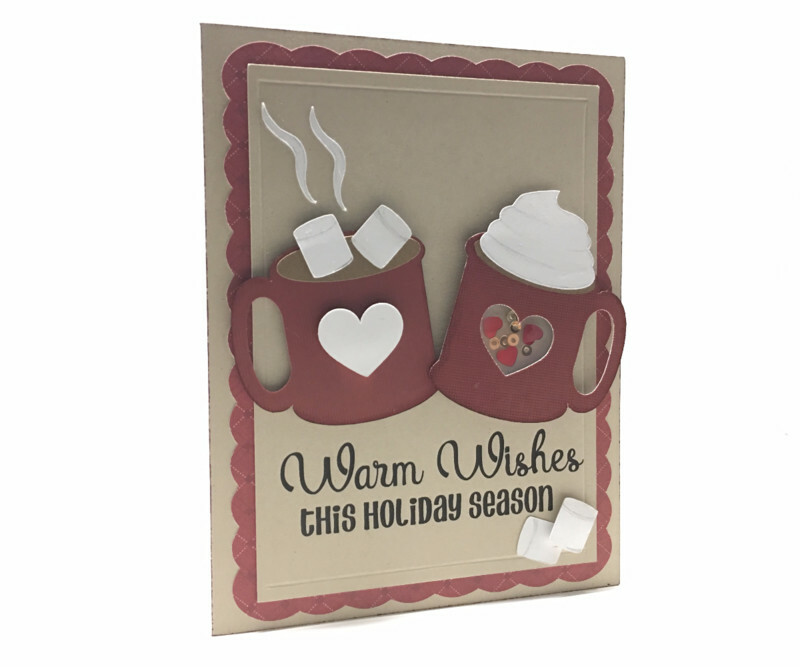 This one by Teri is both a greeting card and a gift card holder. Narelle made another delightful spinner card version to consider. I love the little string of stockings on each side. Sounds like this Naughty or Nice card by Teri is perfect for procrastinators for me, since it's quick and simple. She included both holly and snowflake borders. 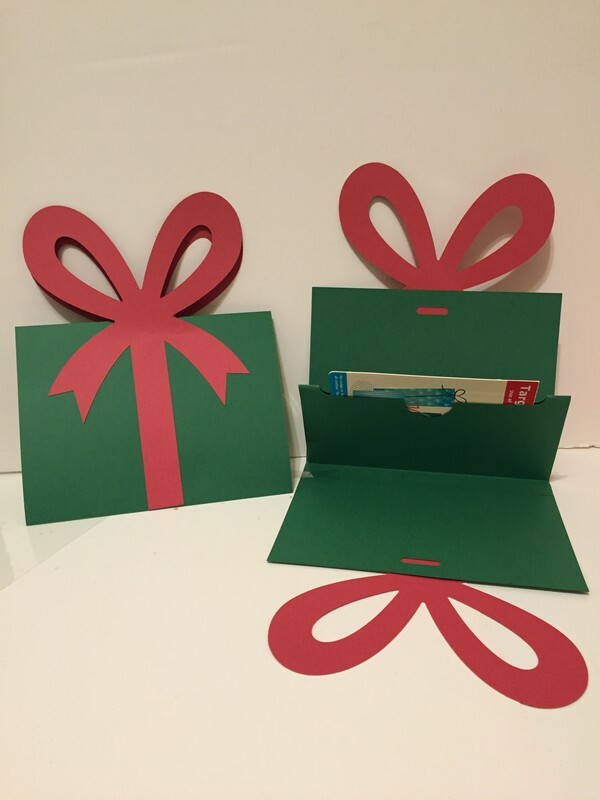 If you've ever wondered how to wrap up the gift cards that are hanging in stores, you can use this long gift card holder by Jennifer. Shaker cards are always delightful, and Teri created a lovely gold ornament version you can send.